Reserve Your Spot for the Lakeside Christmas Dinner! Lakeside has expanded its Community Christmas Dinner into an all-day holiday event, "A Lakeside Christmas." On Saturday, Dec. 8, bring the whole family back to the lake for children's activities, family-friendly entertainment, Jingle Jump, shopping, dining and much more. Holiday movies will also be featured on Friday and Saturday. 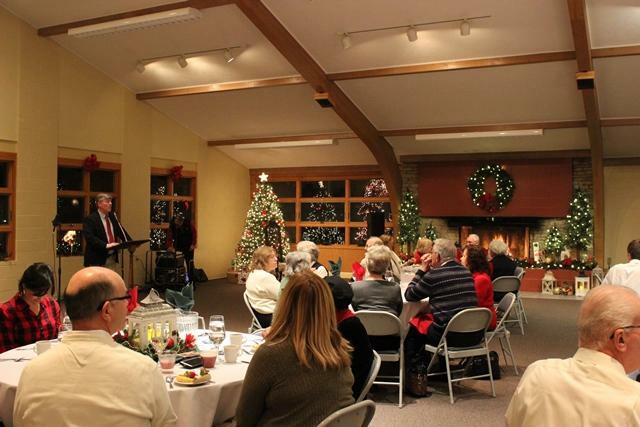 Make a reservation for the annual Community Christmas Dinner from 5:30-8 p.m. Saturday, Dec. 8 in Wesley Lodge. This special evening will include a visit from Santa Claus, appetizers, dinner buffet and a Christmas carol sing-a-long following dinner. The buffet menu will feature beef tenderloin with port wine mushroom sauce, stuffed chicken with a parmesan sauce, twice baked potato, green beans, salad, bread, apple crisp, water, iced tea and coffee. The children's menu includes chicken fingers, mac & cheese and applesauce. The cost is $25 for adults, $10 for children (ages 5-12), and children age 4 & under are free. This year, there are four ways to reserve your spot. Choose which option works best for your family. Online: Click the buttons below to complete our two-part online registration process. First, fill out the online reservation form, and then purchase tickets by credit card. Phone: Call (419) 798-4461, ext. 279. Please have ready the ages of children under 13 and credit card information. Mail: Download the 2018 Community Christmas Dinner RSVP Form and send payment by mail before Friday, Nov. 30 to: Lakeside Chautauqua, Attn: Christmas Dinner, 236 Walnut Ave., Lakeside, Ohio 43440. In-Person: Print or pick up the 2018 Community Christmas Dinner RSVP Form and submit with a check to the Administration Office, or with credit card payment to the Conference & Event Planning Office. 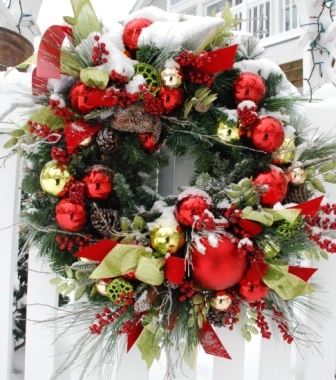 Special rates are being offered at the Fountain Inn for the weekend of "A Lakeside Christmas." Save even more by staying both Friday, Dec. 7 and Saturday, Dec. 8 to receive 20% off of your entire stay. Ask for more information about our “Winter Weekend Getaway Special” by calling (419) 798-4461, ext. 230. 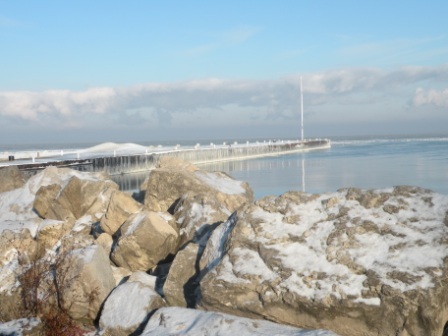 There’s no fee to participate, but we invite all participants (individuals and teams) to make a donation to the Lakeside Annual Fund in support of the lakefront. We also encourage family and friends to make donations on your behalf as you immerse yourself into the near-freezing waters. Register today!